This is the fifth post in an ongoing series from Gary Thomas featuring the message of Loving Him Well: Practical Advice on Influencing Your Husband. Since the book is written for wives, the excerpt will focus on wives, but it’s just as applicable for men. The chapter in the book contains much more information, but this blog post captures the essence of what one wife found to be an amazing tool to transform a marriage headed in the wrong direction. Pat once complainingly described Rich as an overinvolved worker during the week and an avid hunter and fisherman on the weekends. What little time remained he spent watching TV or using the computer, making him a relatively uninvolved husband and father. When Pat brought up Rich’s frequent absences on weekends, Rich would say, “Don’t worry, honey. Hunting season is almost over.” But Pat soon learned that fishing season was waiting just around the corner. We men have a tendency to avoid battles that we know we can’t win or that make us feel incompetent. The thinking is, “If there’s no chance of winning, there’s no chance of me even competing.” Unfortunately, this means that when we start to feel like we’re in over our heads in our family life, home may become the last place we want to be—if we can’t succeed, we don’t even want to try. The sad result is that we may slowly increase our hours at work and then extend our involvement in recreational hobbies, perhaps not even realizing that we are virtually hiding from our families. In her early forties, Pat didn’t want to spend the rest of her life with a man who always had his mind somewhere else. Instead, Pat found someone else — the Lord, whom she credits with saving her life. Pat thought she had always been a Christian, but she visited a new church where she encountered a rich, deep, personal and authentic faith. Out of a new spiritual renewal, she began the journey of reorienting her marriage by asking Rich what she now calls the “magic question.” Asking this question went against every fiber of her being. It was actually the opposite of what she thought would best serve her marriage, but she decided to give it a try anyway. Rich’s answer caught Pat completely off guard. (You’ll have to read the book to hear his answer, as this post is already getting much too long.) What shocked her as much as anything was how much his suggestion also transformed her relationship with one of her daughters. Pat decided to focus on helping Rich. She cleared her calendar, cutting out a lot of her outside activities, so that “instead of trying to find fulfillment in other things, I could focus my energies on my home and my family.” It’s a bit ironic that in her efforts to get her husband to be more involved at home, Pat began by making sure she was more involved at home—not just present, but emotionally, spiritually, and relationally engaged. Think very honestly about this past week. Put yourself in your husband’s shoes. What did it feel like to be greeted by you? What kind of mood do you set in the home? Are you pleasant? Confrontational? Apathetic? Would you like to be welcomed home in the way you welcome home your husband? Maybe you get home from work after your husband does. You can ask yourself some other questions. Do you regularly complain about your day instead of listening to him about his? Do you pour out your resentment that other women have it easier than you do? Do you make him feel as though he doesn’t measure up? Are you preoccupied with unanswered email? Are you a pleasure to be around? How interesting; the man who once threw himself into work and outdoor sports because of their solvable nature and tangible rewards now recognizes that their rewards pale in comparison to God’s promised rewards in eternity. In my view, that’s why Pat’s mission “worked.” Instead of trying to change Rich for her own sake, she drew closer to the Lord, captivated Rich with her own example, and in a godly way encouraged Rich to reevaluate his priorities according to God’s standards. Rich needed another measuring stick. Marriage, faith, and family life take more effort than work and fishing — but they offer much greater rewards. Your first movement toward your husband should be, as it was for Pat, a movement toward God. When you give yourself first to God, you open yourself up to his correction, affirmation, and redemption. Following that, the magic question will work well for both husbands and wives. 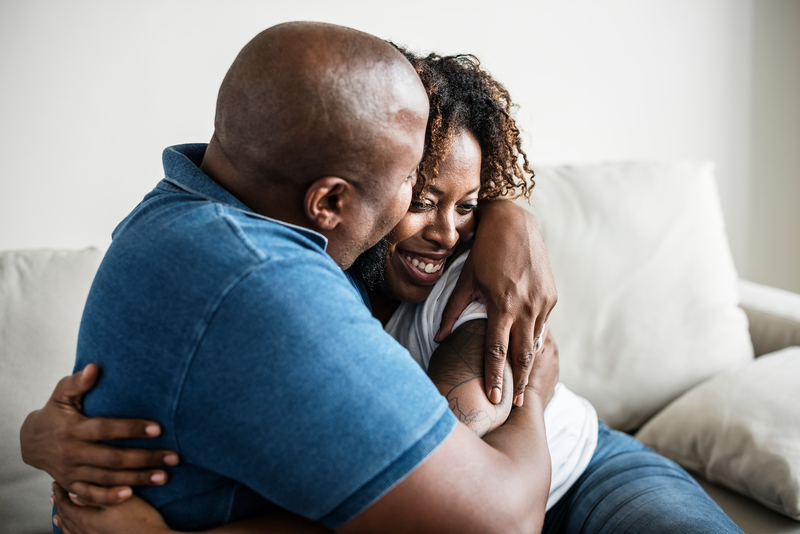 In the face of your disappointment, be bold to ask,“What would you like me to do for you that I’m not doing?” If you heed your spouse’s words instead of taking offense, you can slowly transform your home into a more pleasant place for her or him to be — and therefore make your spouse want to come home.